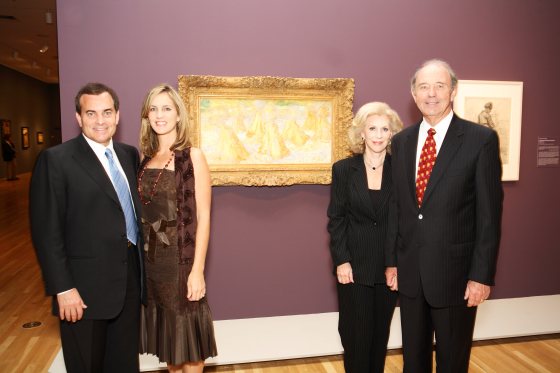 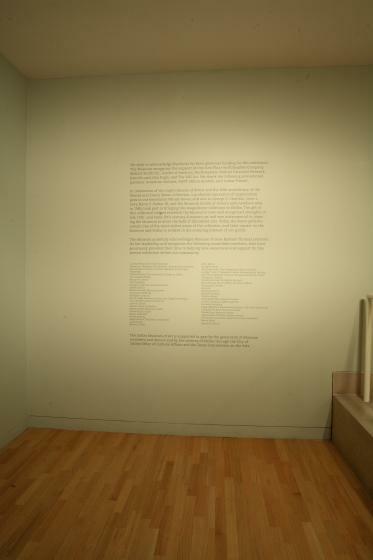 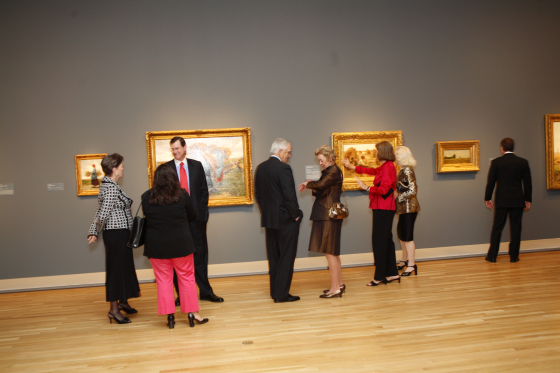 Credit Line Organized by the Dallas Museum of Art. 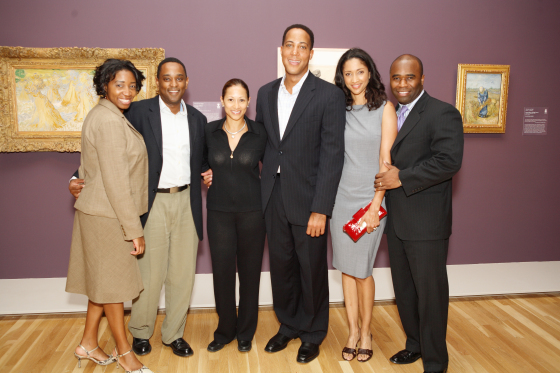 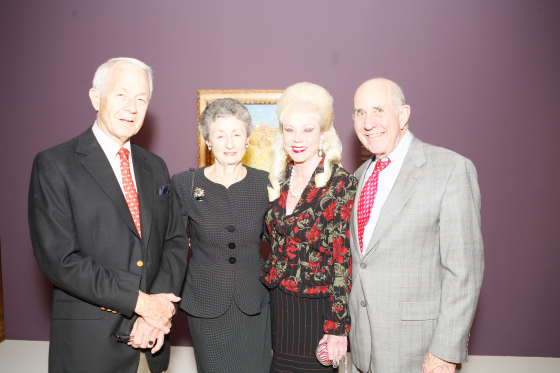 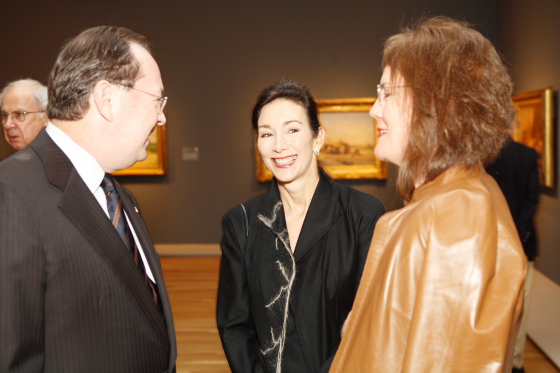 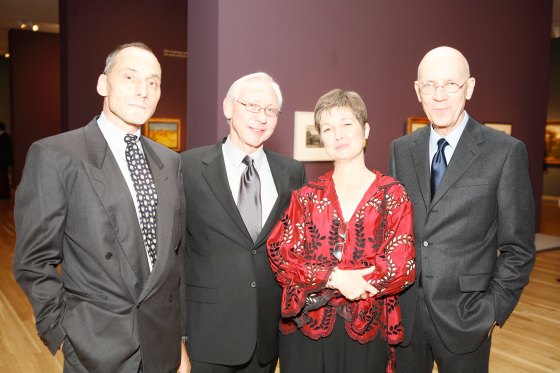 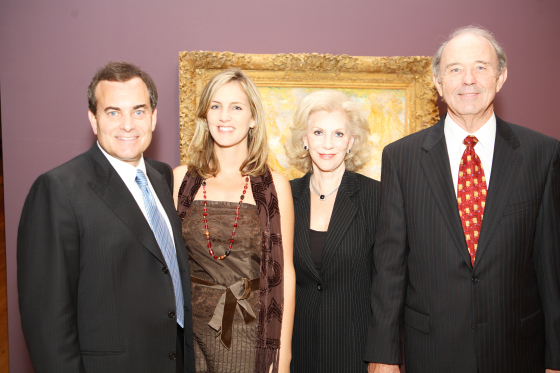 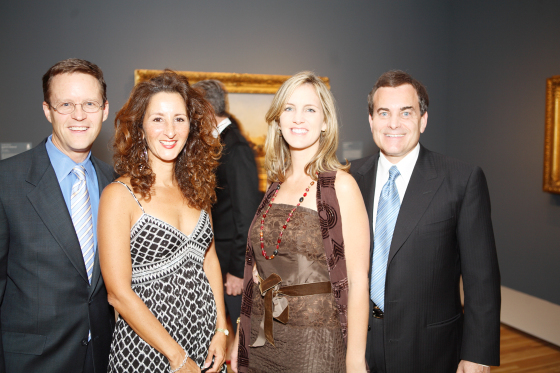 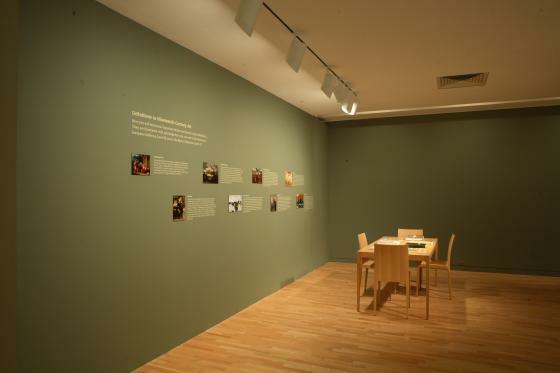 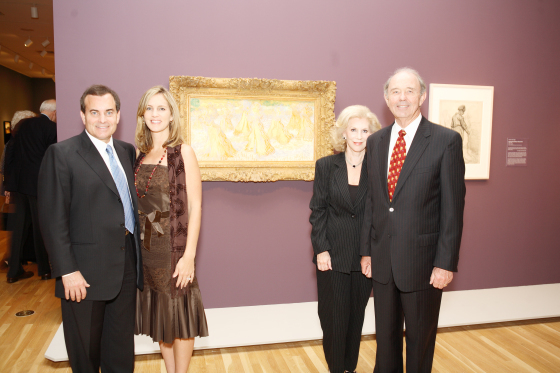 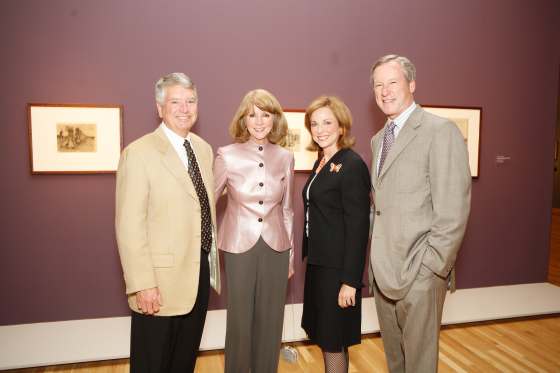 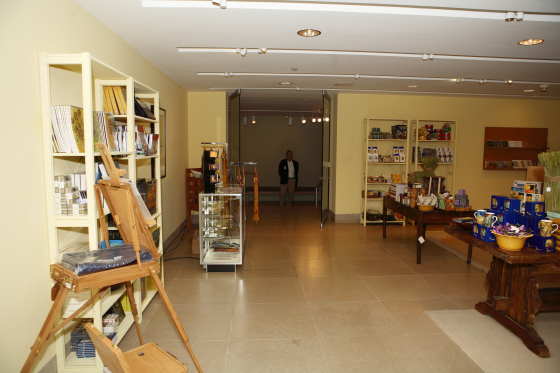 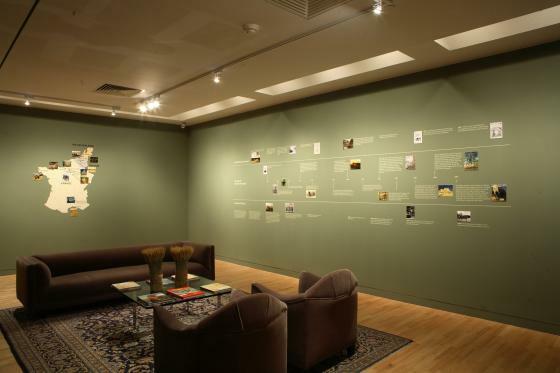 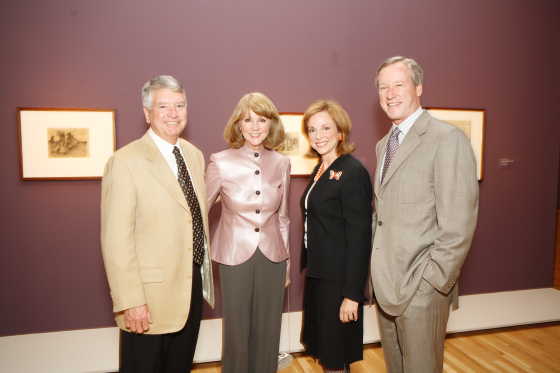 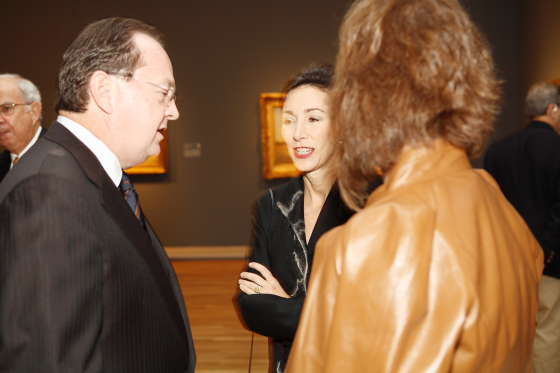 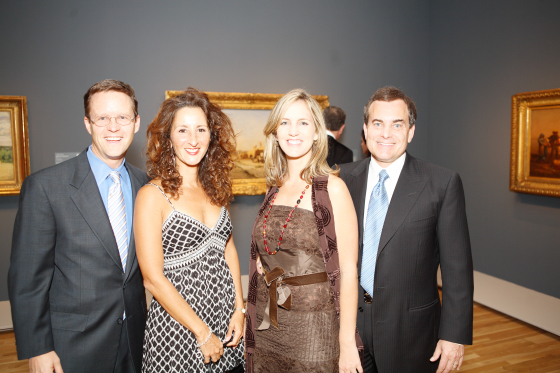 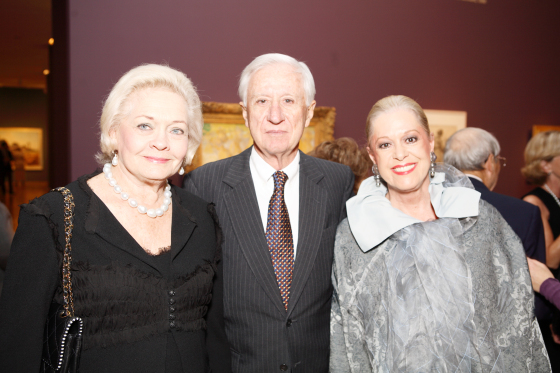 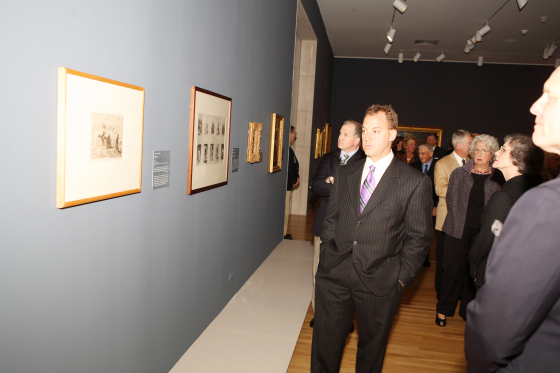 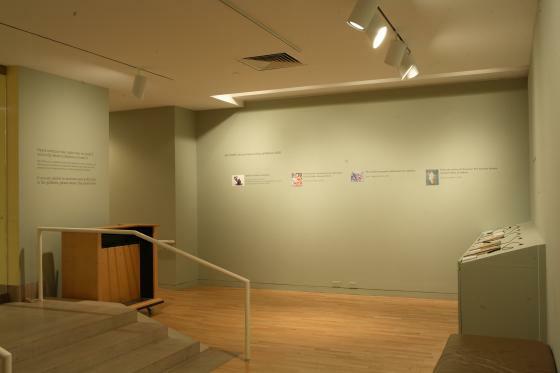 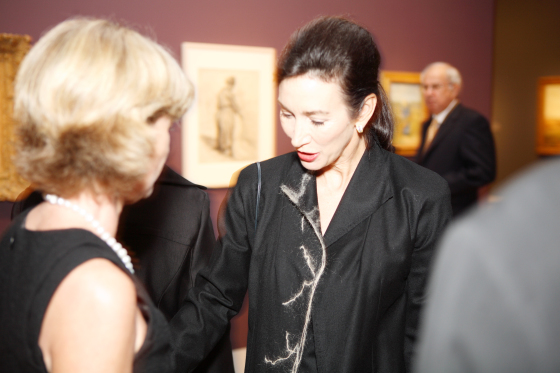 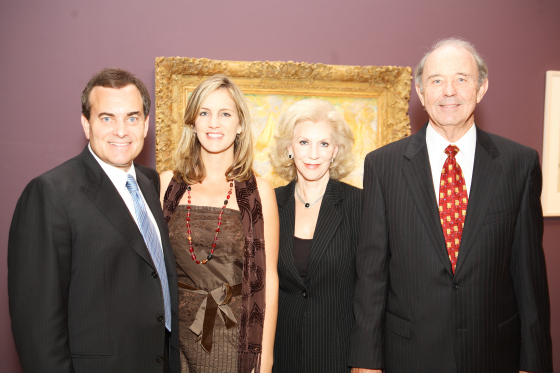 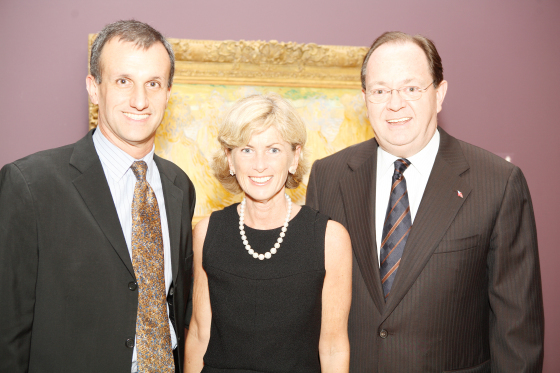 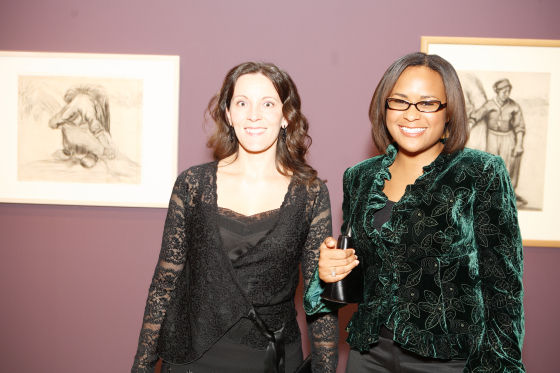 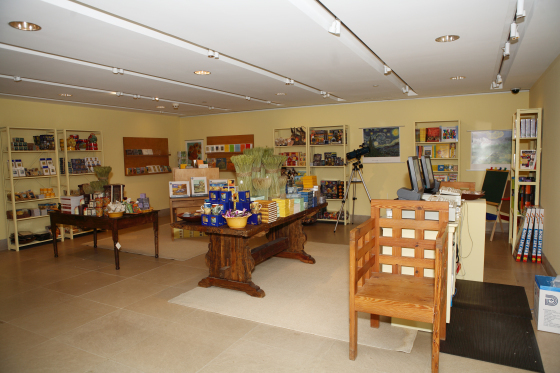 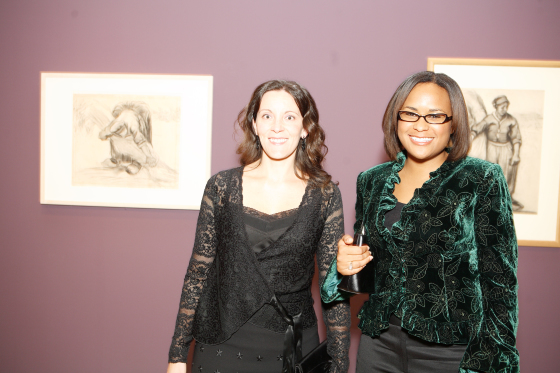 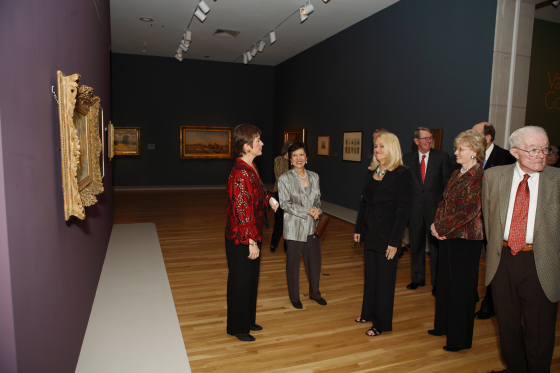 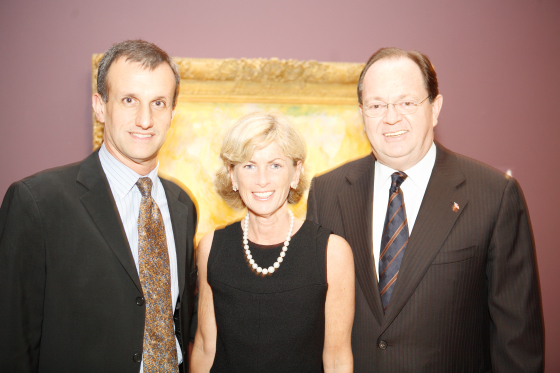 The exhibition was presented by Wachovia. 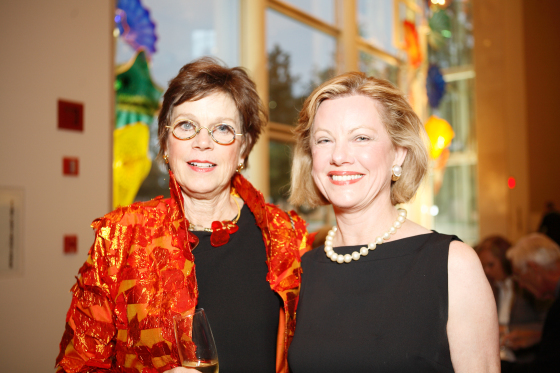 Additional support provided by One Arts Plaza by Billingsley Company, McKool Smith P.C., Essilor of America, Inc., and by the Donor Circle membership program through a leadership gift by Jennifer and John Eagle. 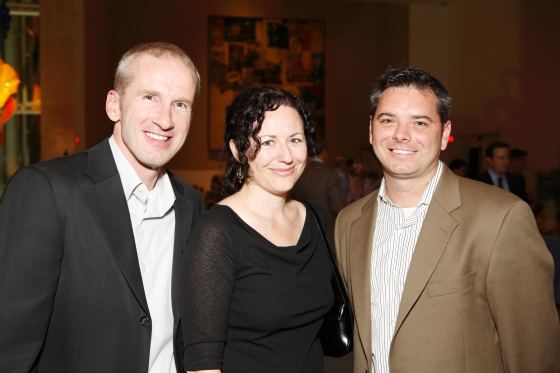 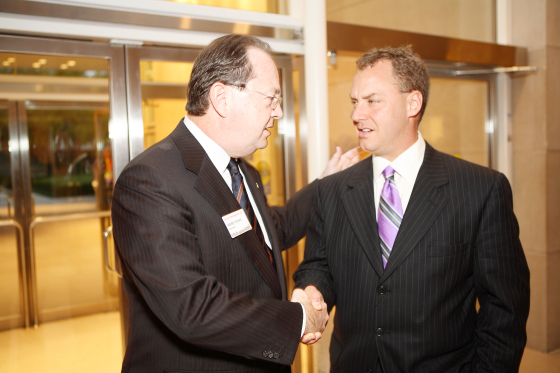 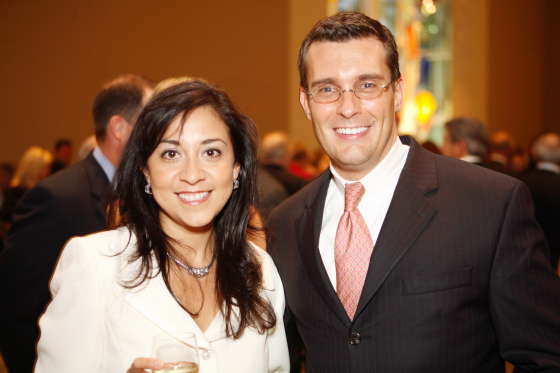 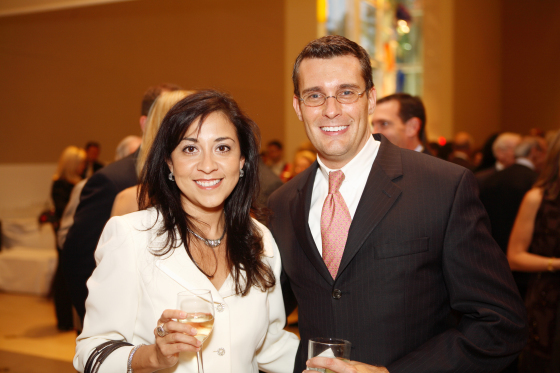 Opening member events were sponsored by Northwestern Mutual Financial, The Texas Financial Group Dallas. 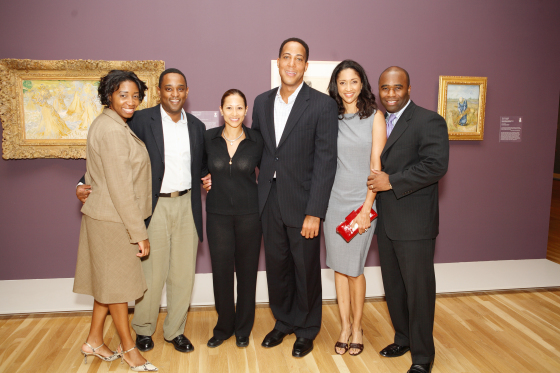 Air transportation provided by American Airlines. 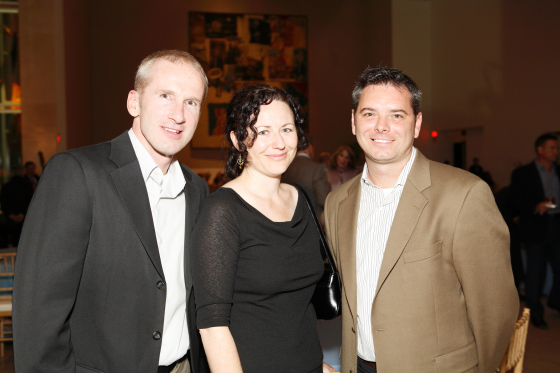 Hotel accommodations provided by Hilton Anatole. 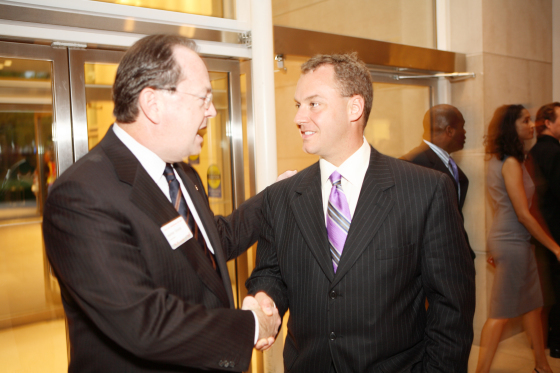 Promotional support provided by DART and Lamar Transit. 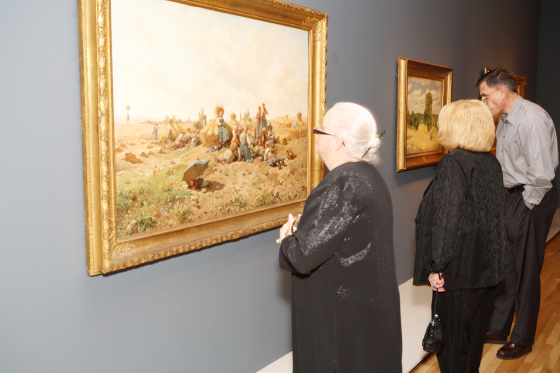 The exhibition was supported by an indemnity from the Federal Council on the Arts and the Humanities. 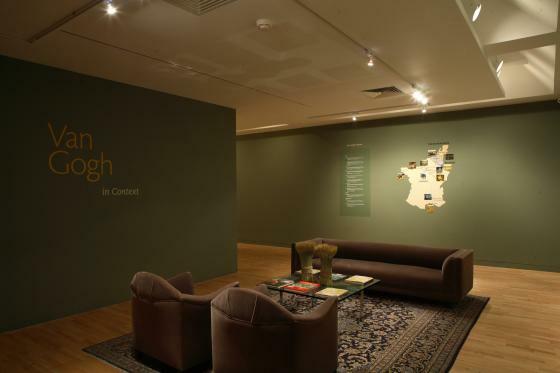 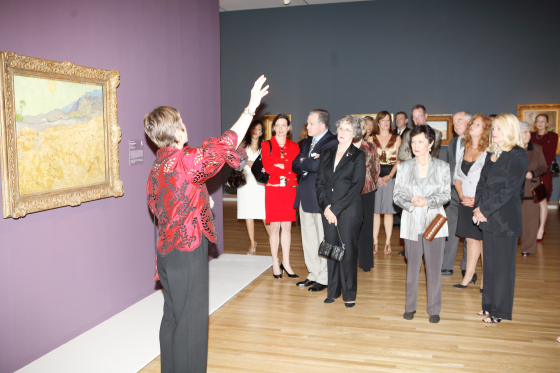 Description This fall the Dallas Museum of Art presents 'Van Gogh's Sheaves of Wheat,' an in-depth study of a theme that both delighted and obsessed this great artist and influenced countless contemporaries and future artists. 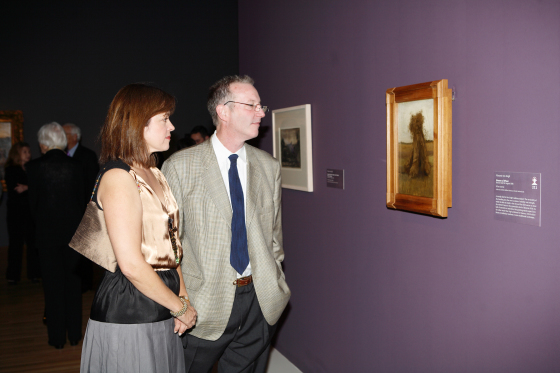 Organized by the Dallas Museum of Art and featuring Vincent van Gogh's masterwork 'Sheaves of Wheat' (1890) from the Museum's own collections, this exhibition explores the artist's fascination with the motif in his paintings, drawings, and personal letters, as well as the iconographic significance of wheat and agricultural labor in the work of other late 19th-century artists, including Paul Gauguin, Jean-Fran�s Millet, and Camille Pissarro, among others. 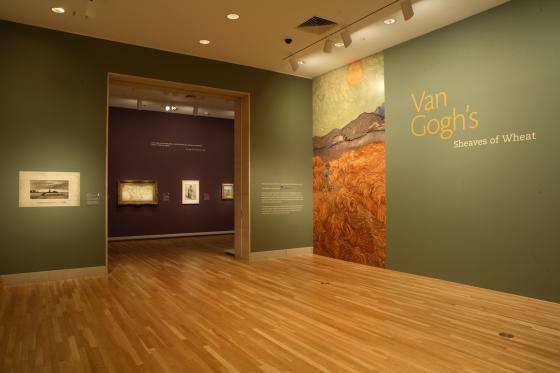 The exhibition will have the largest collection of Van Gogh works displayed in the Southwest in forty years. 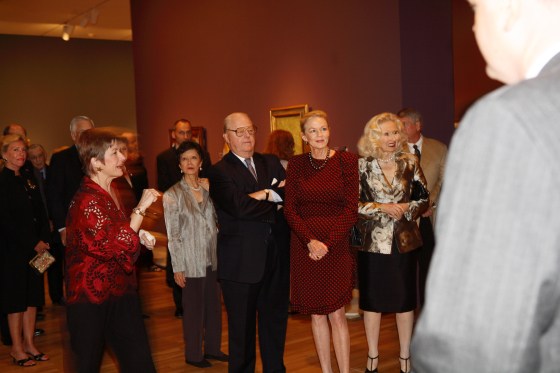 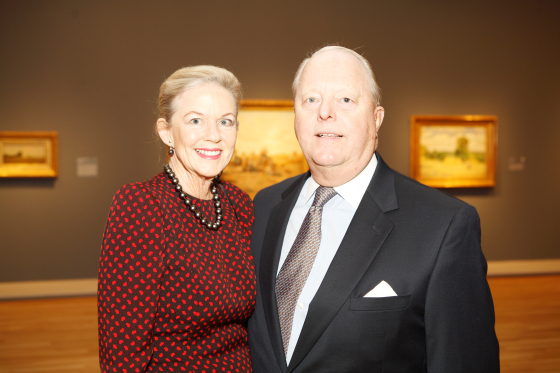 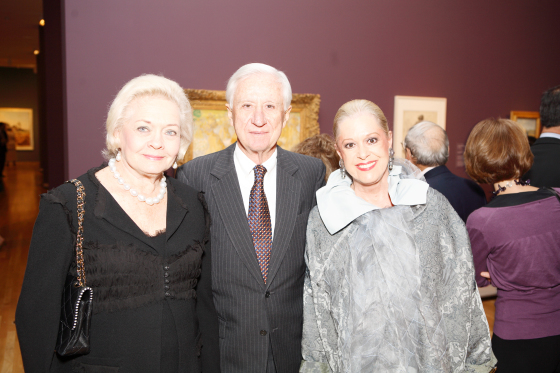 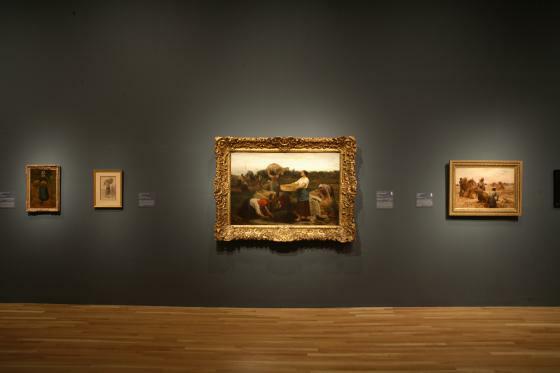 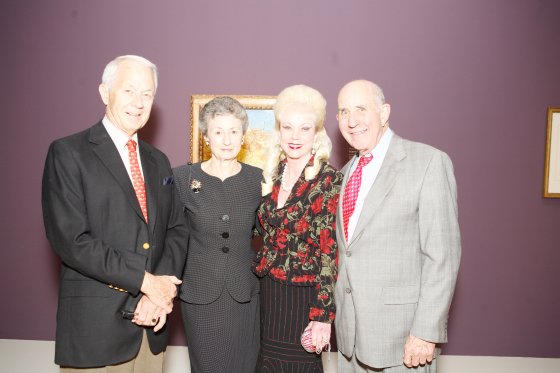 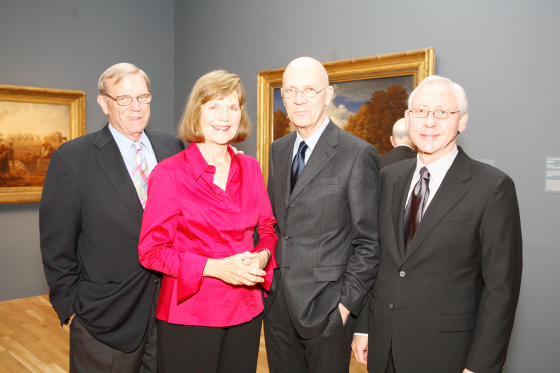 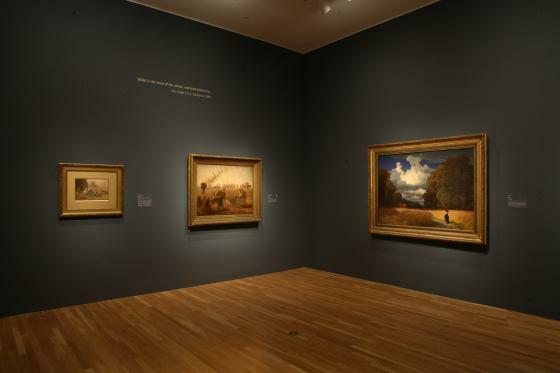 'This exhibition brings together several of the most important paintings by master artists,' said John R. Lane, The Eugene McDermott Director of the Dallas Museum of Art. 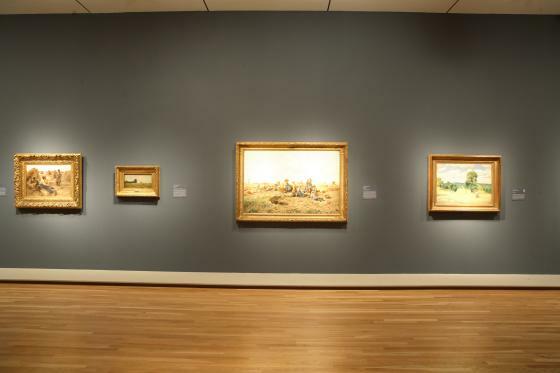 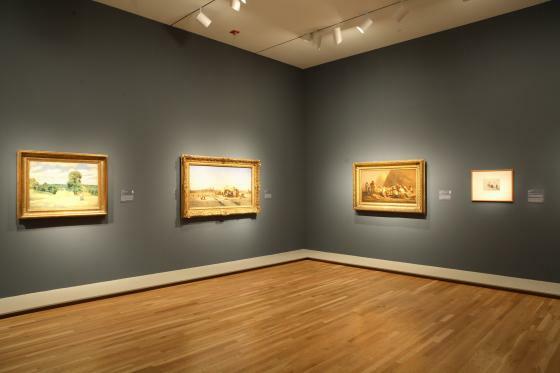 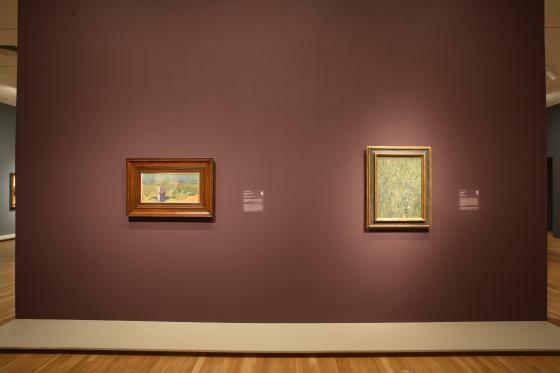 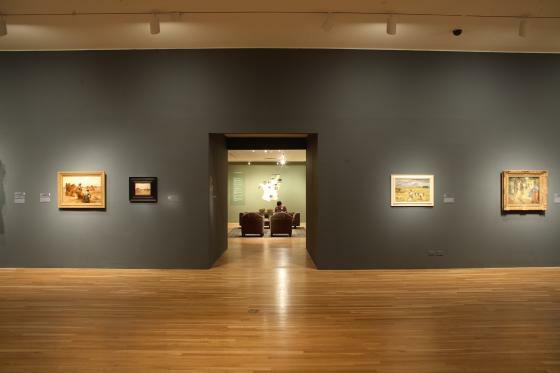 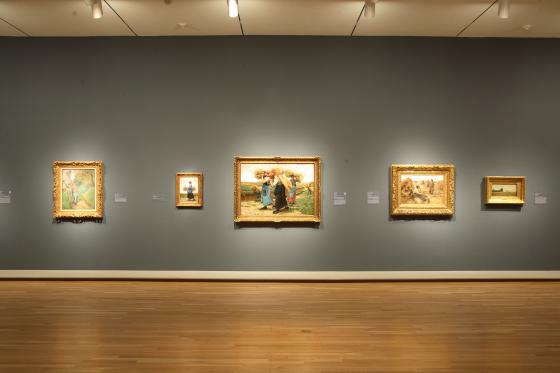 'Not only does the exhibition focus on an important element in Van Gogh's work but it features one of the most important paintings from the Dallas Museum of Art's permanent collection gifted to us by Wendy and Emery Reves.' 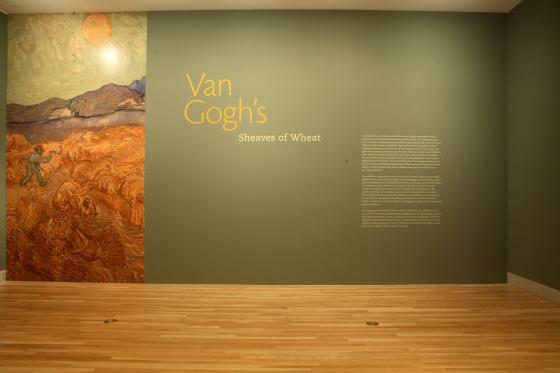 One of Van Gogh's final works, 'Sheaves of Wheat' was completed weeks before the artist's death in July 1890. 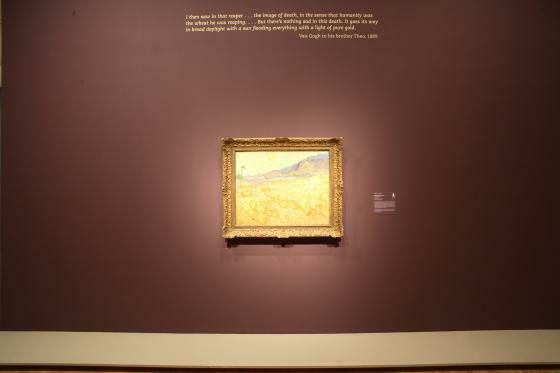 With animistic intensity, Van Gogh depicts a field of golden wheat, gathered together in freshly stacked sheaves. 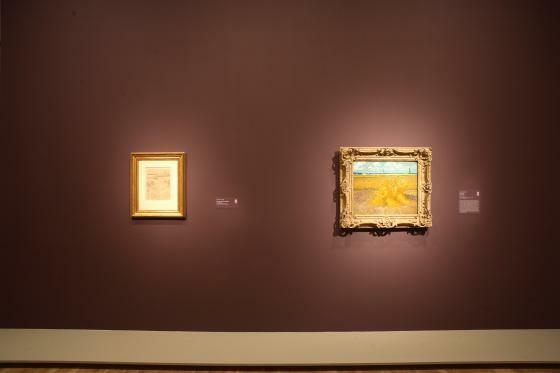 Other works by Van Gogh, such as 'Wheat Field with a Reaper' (5-6 September 1889) and 'Corn Harvest in Provence' (17-23 June 1888), help elucidate the artist's vision and the aesthetic evolution of the theme. 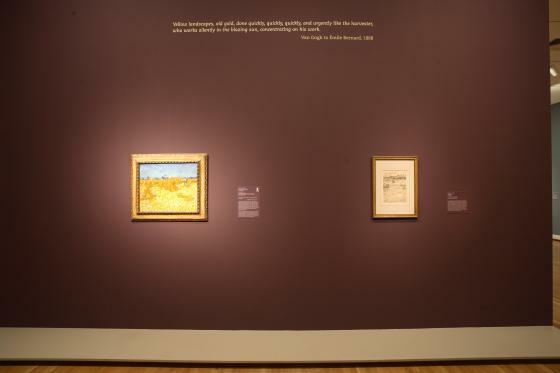 'Van Gogh's 'Sheaves of Wheat' illuminates a common motif that has universal significance as a symbol of biblical and mythical abundance,' said Dorothy Kosinski, Senior Curator of Painting and Sculpture and The Barbara Thomas Lemmon Curator of European Art at the DMA. 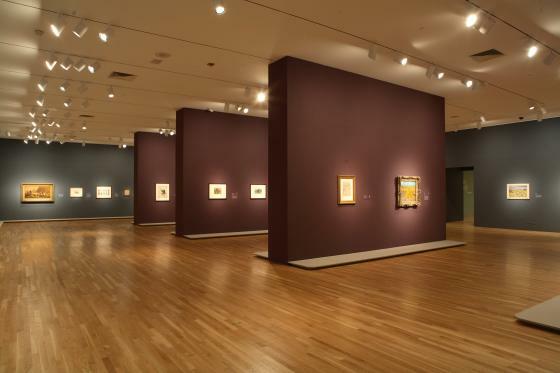 'This exhibition examines Van Gogh's personal obsession with the theme, which became a metaphor for the creative process and the cycle of life in the artist's work, and contextualizes Van Gogh's interpretations with those of other artists of the time.' 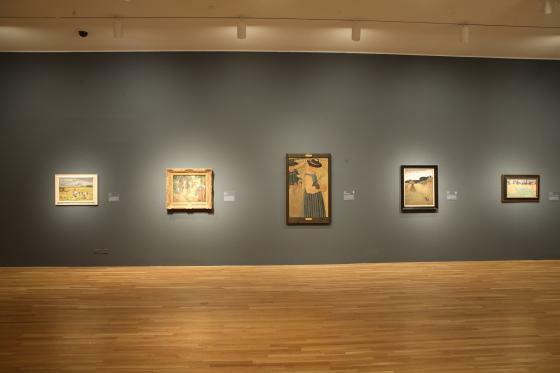 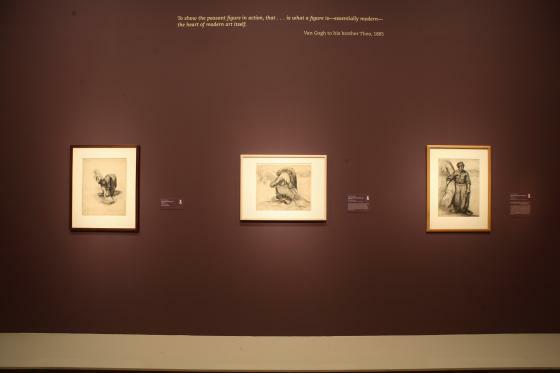 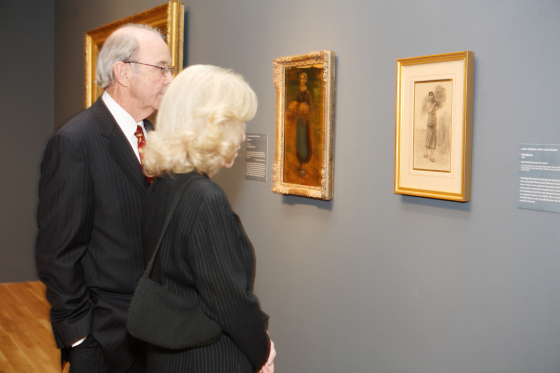 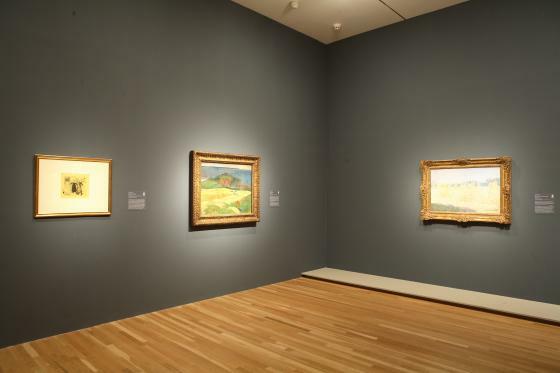 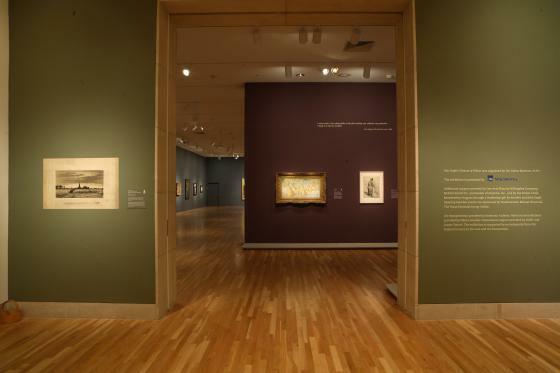 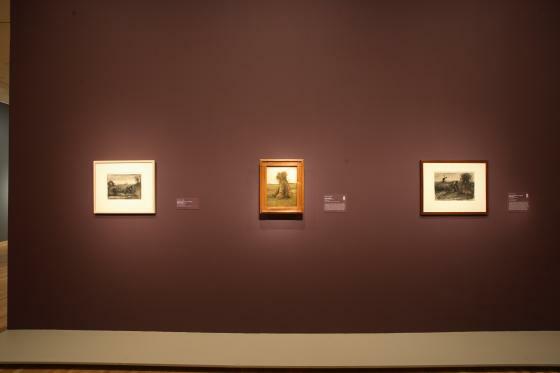 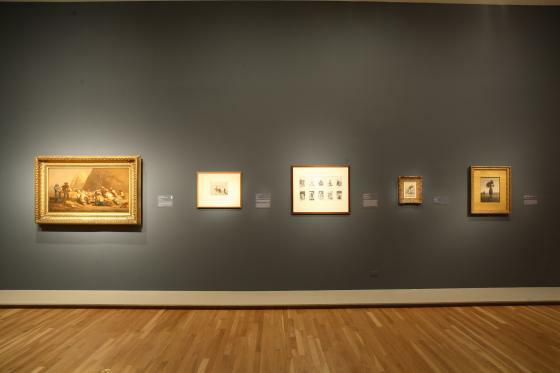 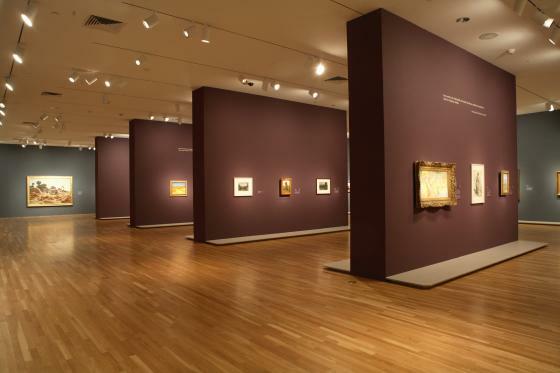 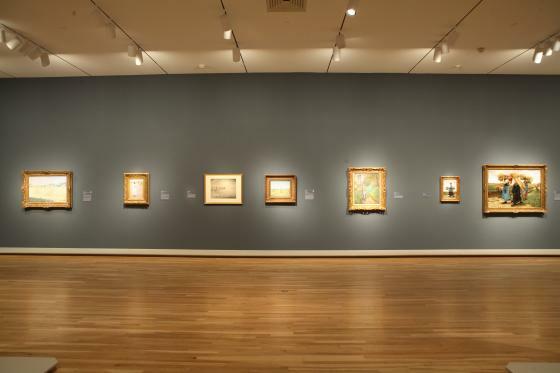 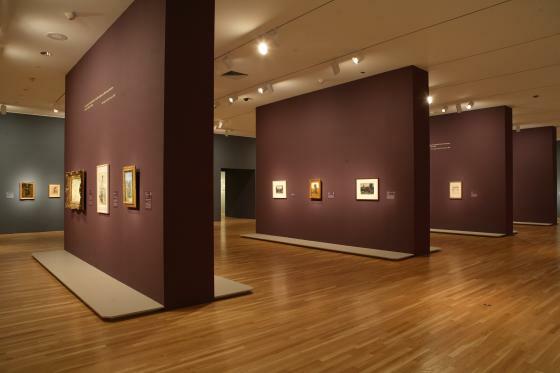 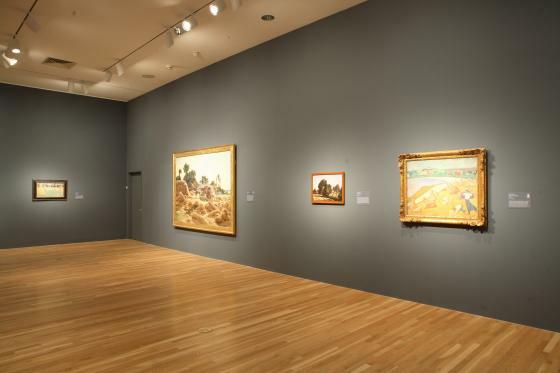 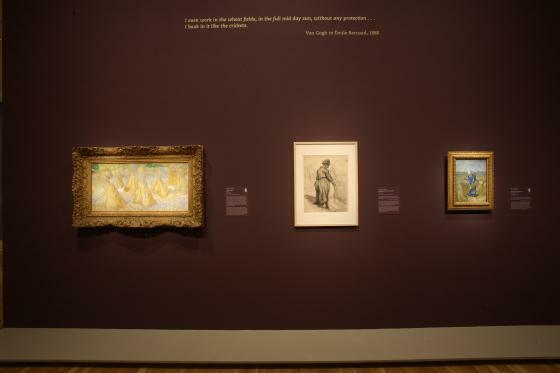 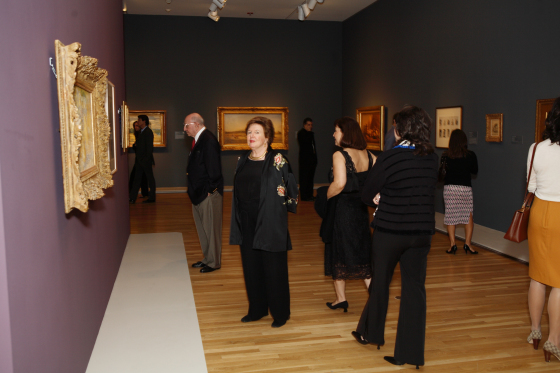 The exhibition includes the work of other 19th-century artists, including individuals Van Gogh admired and emulated, as well as artists of his generation who shared his enthusiasm and fascination with the theme. 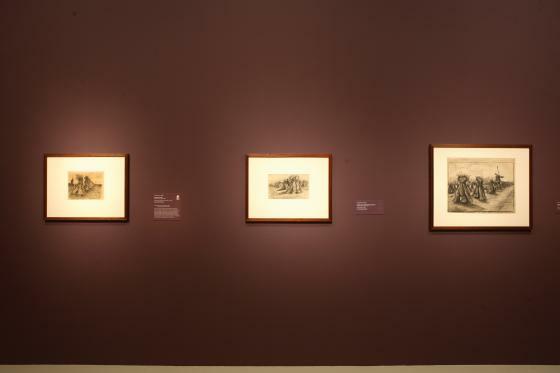 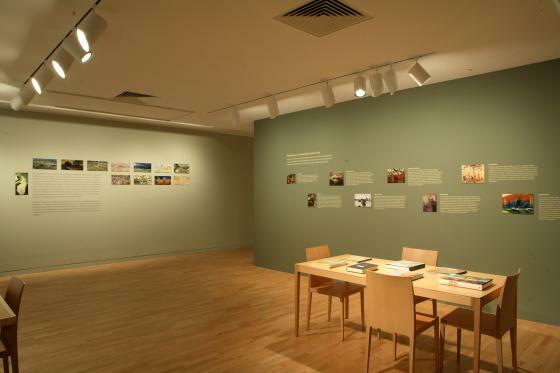 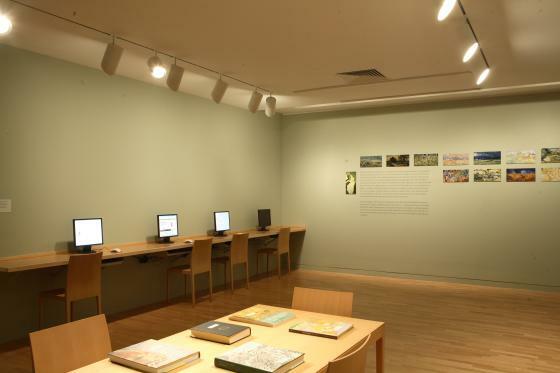 Works by �ile Bernard, Jules Breton, Charles-Fran�s Daubigny, Julien Dupr�Paul Gauguin, L� Augustin L'Hermitte, Jean-Fran�s Millet, Claude Monet, Camille Pissarro, and F�x Edouard Vallotton illustrate a range of different approaches and reveal the larger social and political issues of the time. 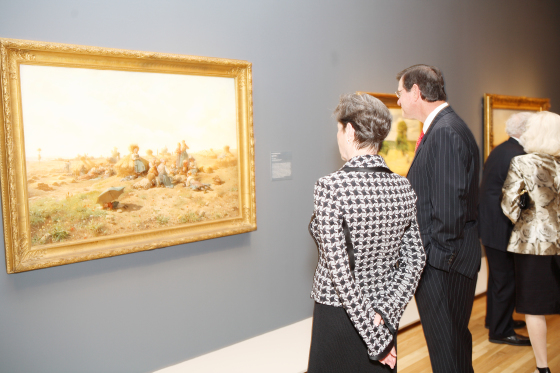 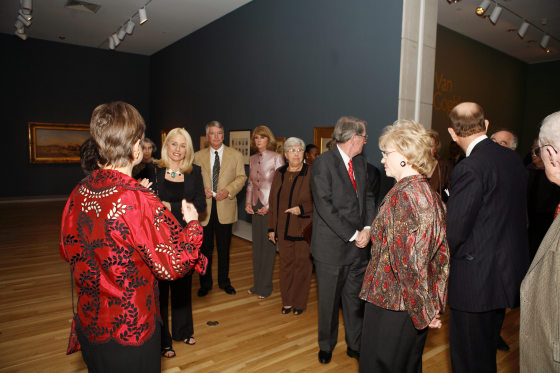 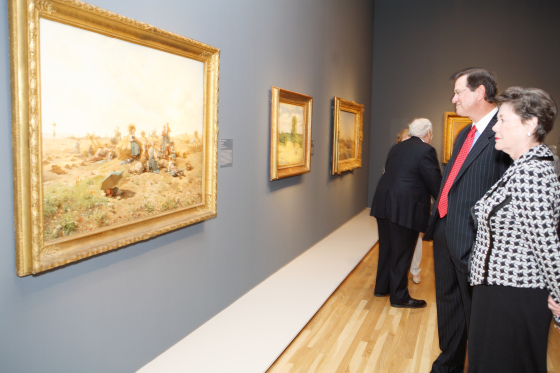 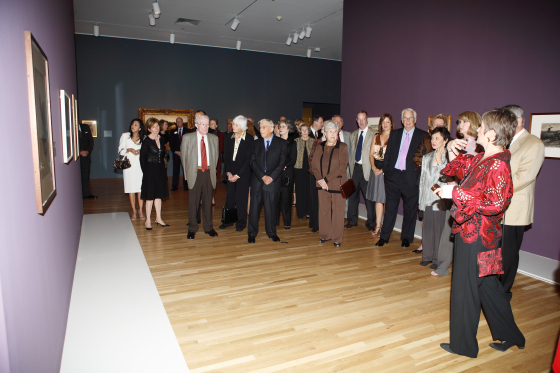 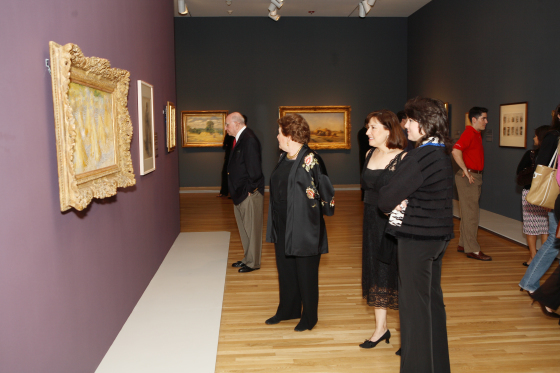 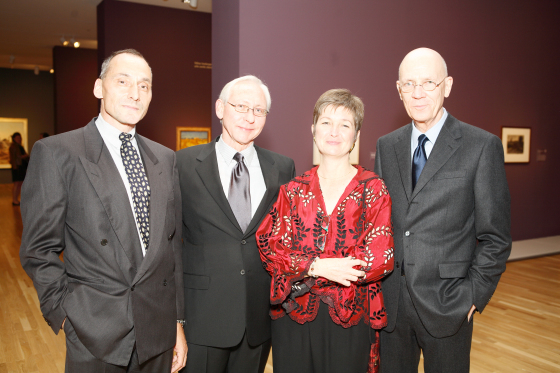 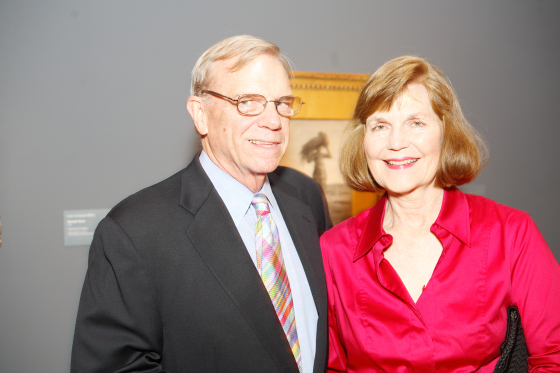 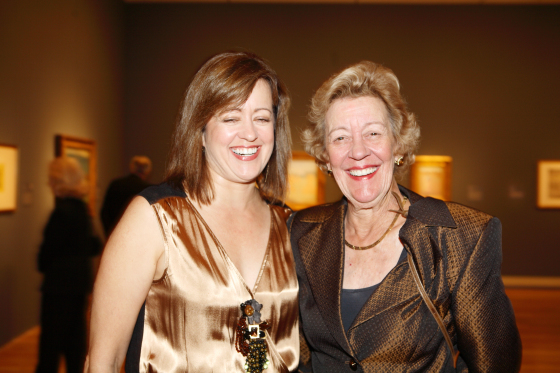 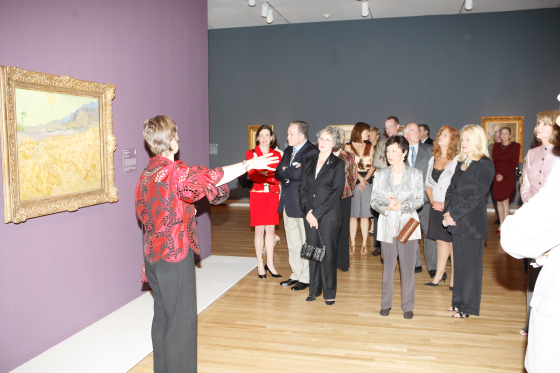 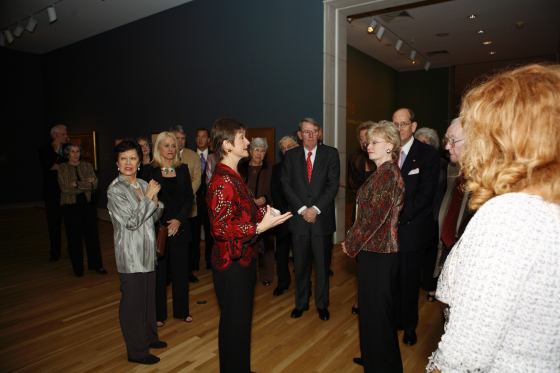 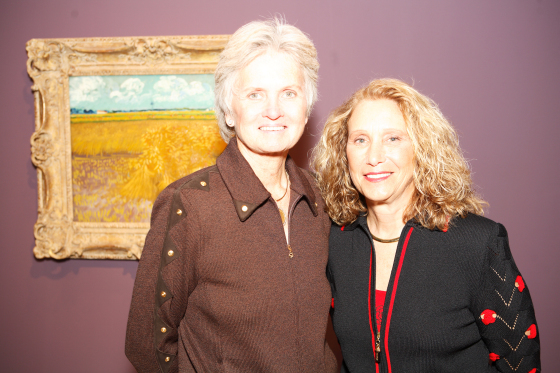 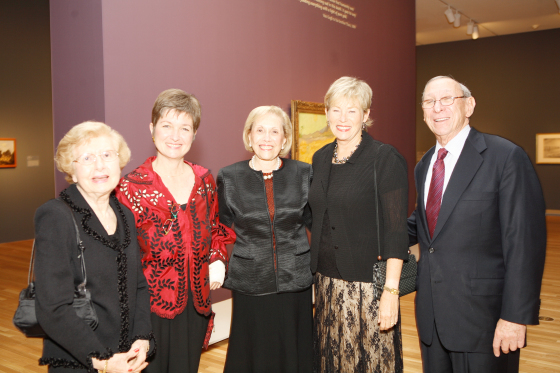 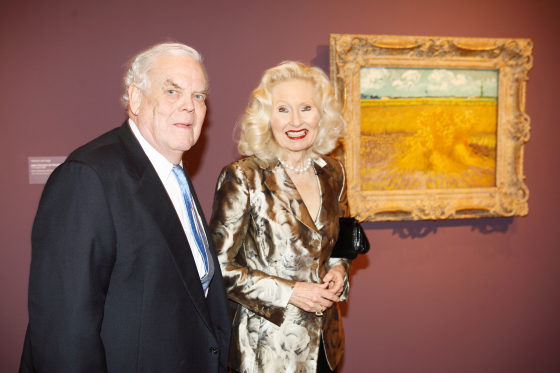 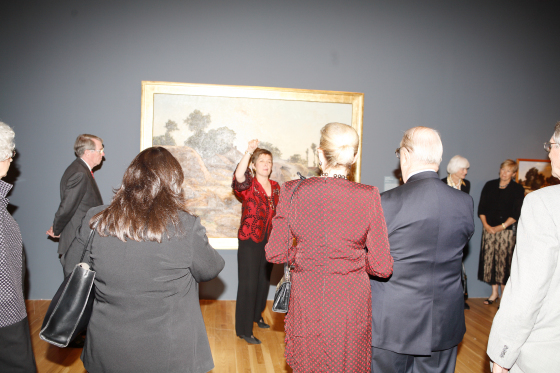 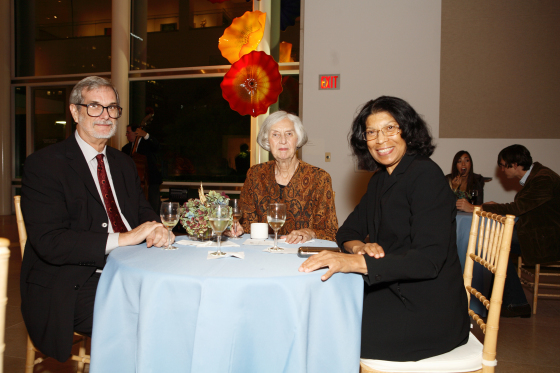 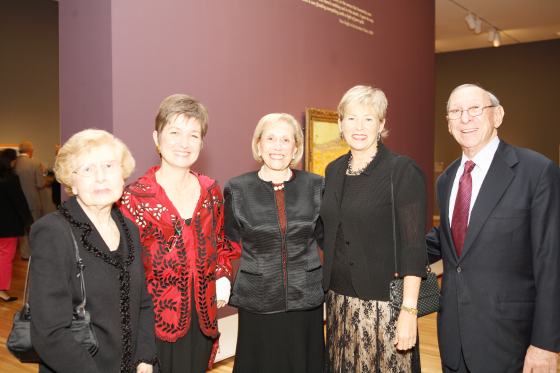 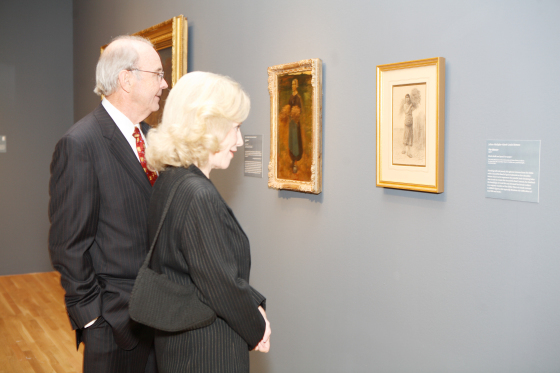 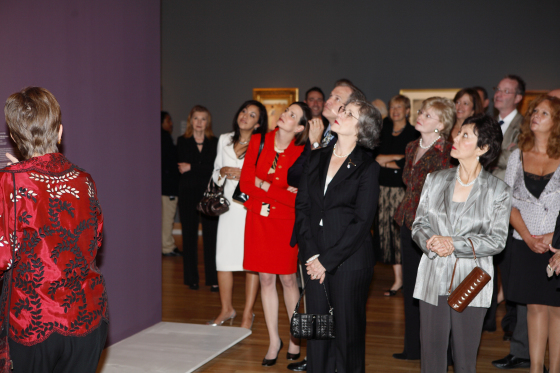 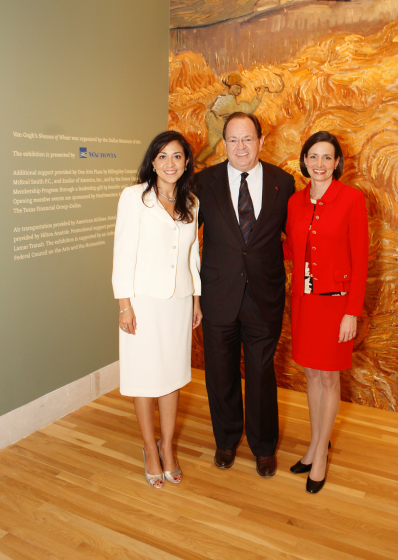 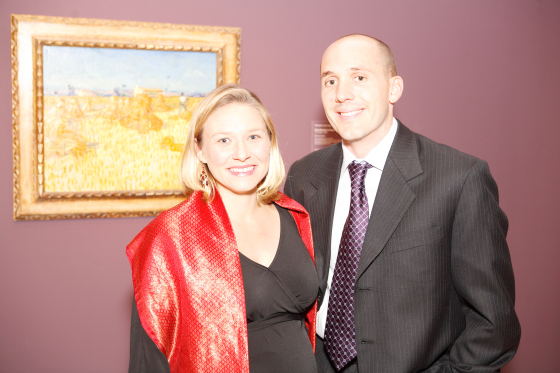 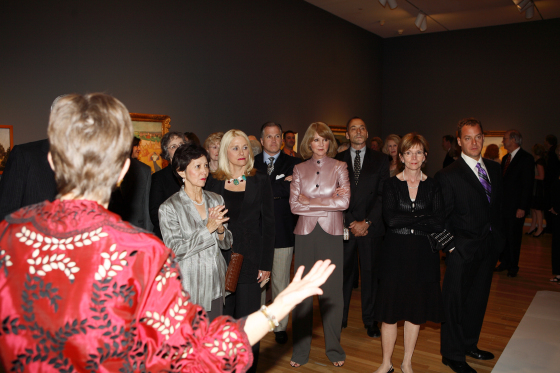 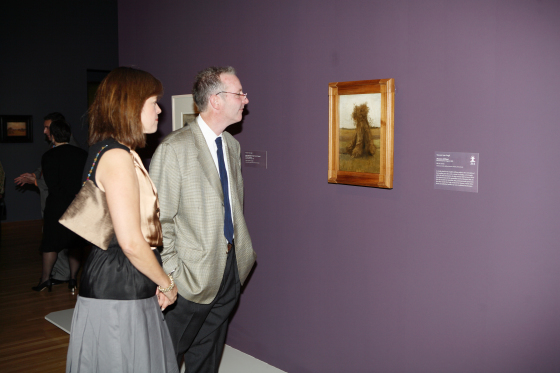 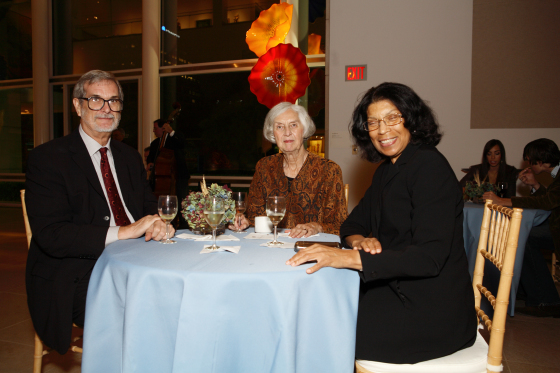 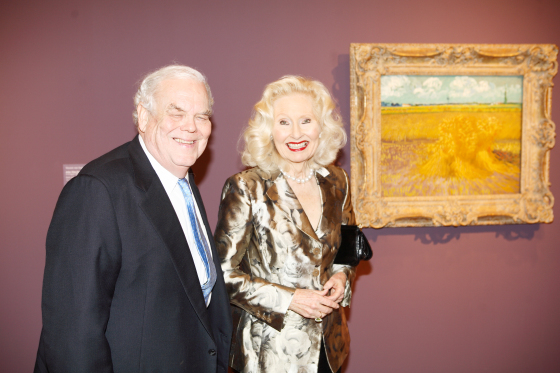 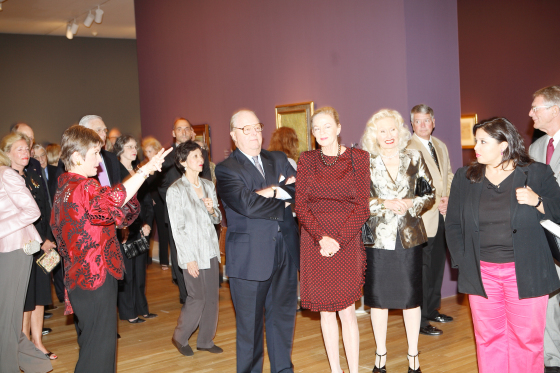 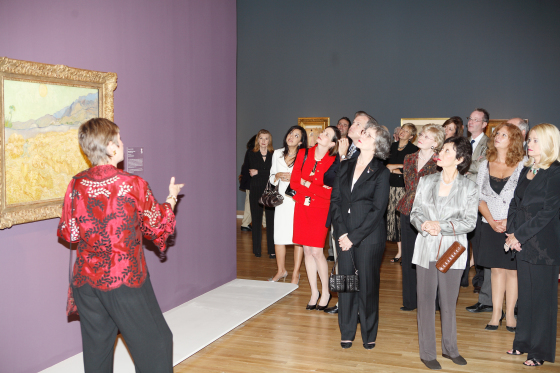 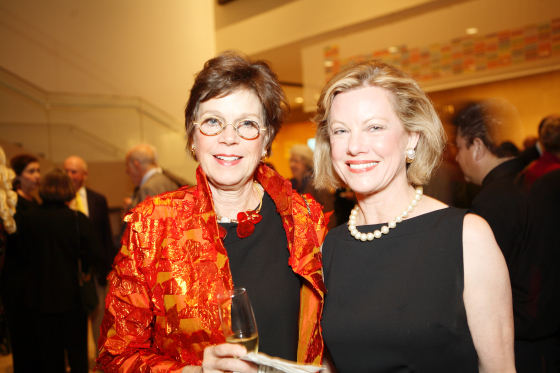 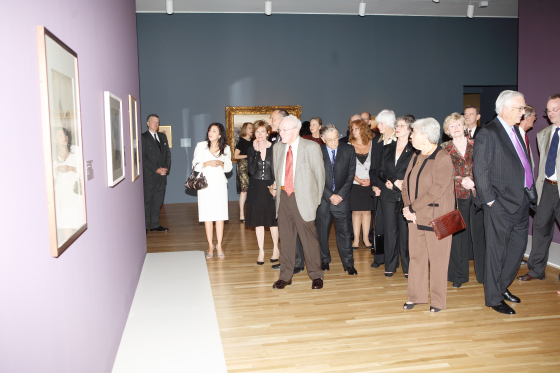 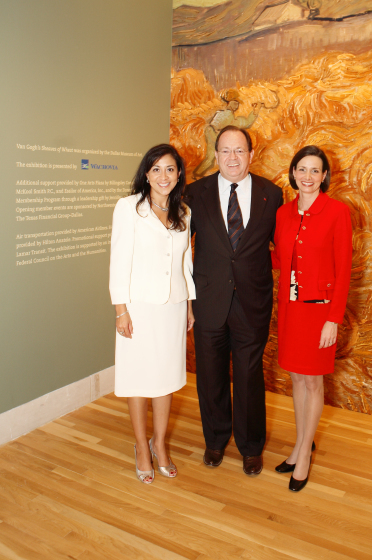 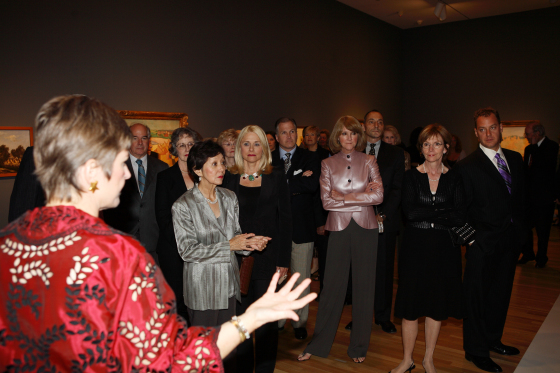 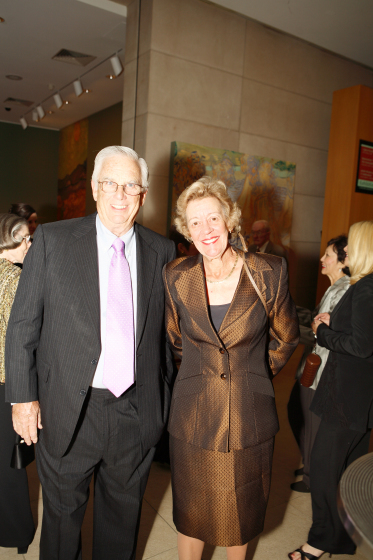 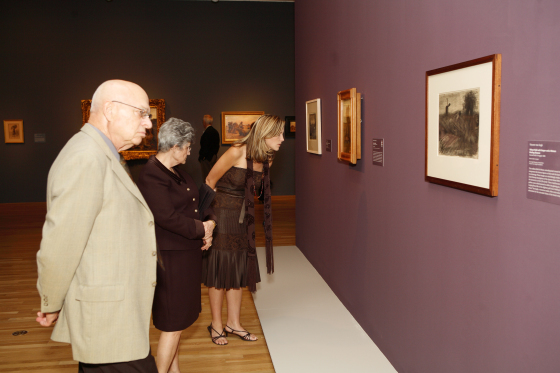 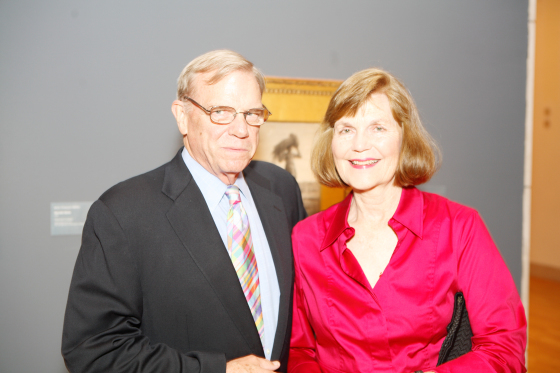 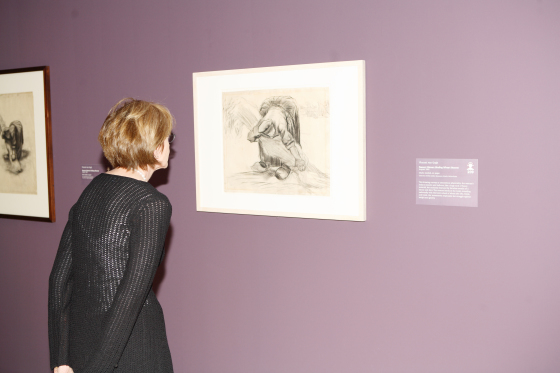 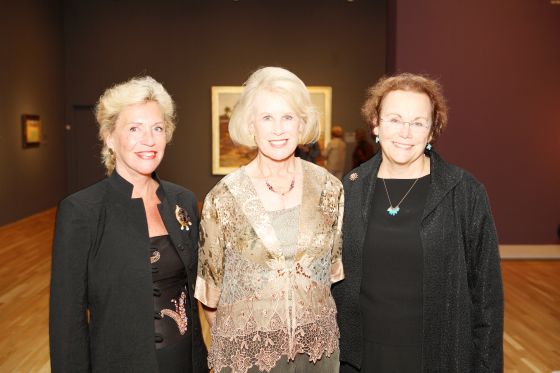 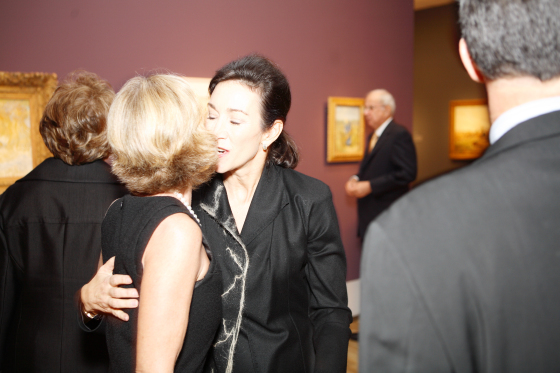 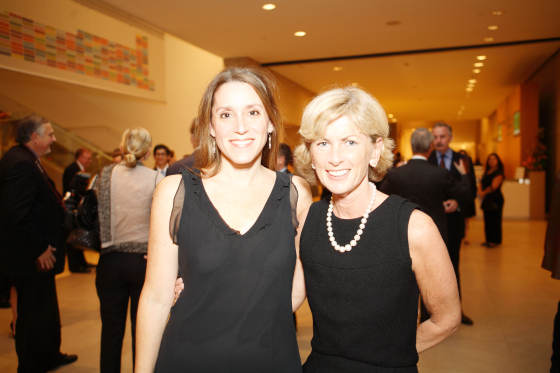 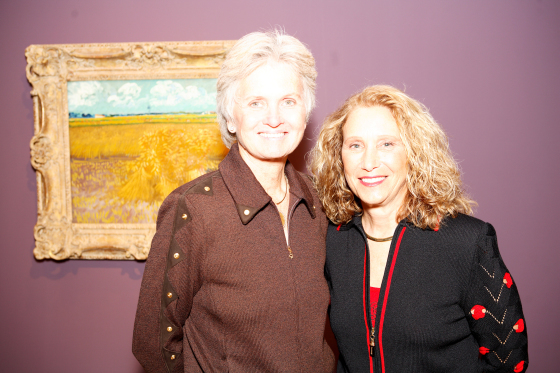 Van Gogh's 'Sheaves of Wheat' is organized by the Dallas Museum of Art and curated by Dr. Dorothy Kosinski.